Today in History–September 05–the Library of Congress features the first Labor Day, celebrated on this date in 1882. 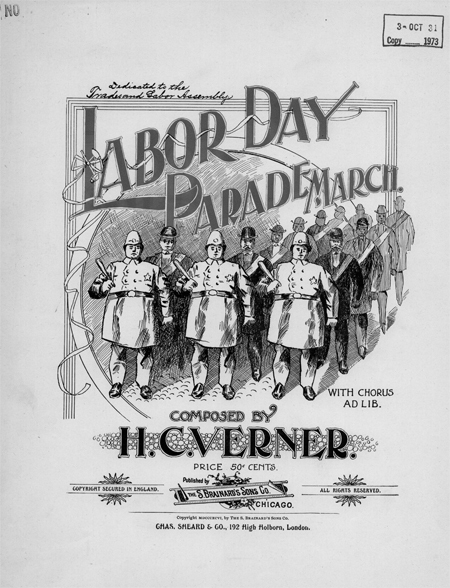 Organized by New York’s Central Labor Union, a representative group made up of from many local unions, the celebration featured a parade, picnic, concert, and speeches. This event inspired others around the country. In 1887 Oregon became the first state to declare Labor Day an official holiday and the federal government followed suit in 1894. Find out more by visiting the Today in History section, then click the links below to access more primary sources and teaching resources related to Labor Day and labor.